The track lengths are the first thing you notice about Norwegian Hans-Peter Lindstrøm's debut LP: 30 minutes, 10 minutes, 16 minutes. In case you hadn't guessed, this is epic stuff. 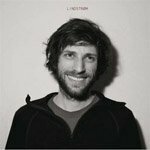 Anyone familiar with Lindstrøm's earlier releases will know his sound was already pretty expansive, career highlight I Feel Space exemplifying the disco beats wrapped around endlessly growing layers of sweeping space excess that have made his name. Where You Go To I Go Too is the natural evolution of this sound, each new layer given time to develop and stand out amongst the chaos. The record brings to mind the epic '70s disco of Giorgio Moroder and Cerrone; the music only stops when you flip the vinyl over. The title track is an immense achievement, managing to stay fresh for half an hour without ever stepping too far from Lindstrøm's signature sound. At no point does he need to resort to vocals or strings or indeed any gimmick, this is one groove explored to its absolute fullest. Around 15 minutes there's the breakdown, the beat dropping away, ambience and random blasts of percussion crawl in, eventually a crowd claps with anticipation and then, after teasing it for what seems like an eternity, the main riff returns and brings the sort of euphoria normally reserved for the best of club nights. The desire to jump up and point excitedly at a DJ who just isn't there is palpable. It really is that exciting. So yes, Where You Go To I Go Too is one of the finest pieces of music I have heard in years. I feel I should say something about the 30 minute playtime and how therefore it won't appeal to everyone, but honestly if you have any affinity for the kind of modern disco here then it shouldn't be an issue. Although I have no personal experience with moving any faster than a saunter, it brings to mind LCD Soundsystem's Nike endorsed workout epic 45:33, so if that's your kind of thing maybe it will provide a nice alternative down at the gym. There's even some heavy breathing half way through to remind you to take a rest. Maybe. In all honesty, I'd be happy were the title track all there is, not least because the remaining two songs pale in comparison. There's nothing particularly bad about either, Grand Ideas is maybe a little short on invention and The Long Way Home a little too saccharine for its own good, but both are still solid songs. It's just that you cant quite shake that first track. But this is hardly deal-breaking stuff, think of this as the longest single you've ever heard. Nobody buys singles for the B-side, and as A-sides go, Where You Go To I Go Too is absolutely essential.